When it comes to dealing with biohazards, those are jobs best left to the professionals. Whether the hazard is pathogenic, like sewage, or chemical, like a methamphetamine lab, typical household cleaners won’t do the trick. This is because those biohazards can be very dangerous to a person’s health and well-being. Depending on the hazard, a person can contract a disease or other develop other serious reactions. This is where SERVPRO of East Brown County comes in. 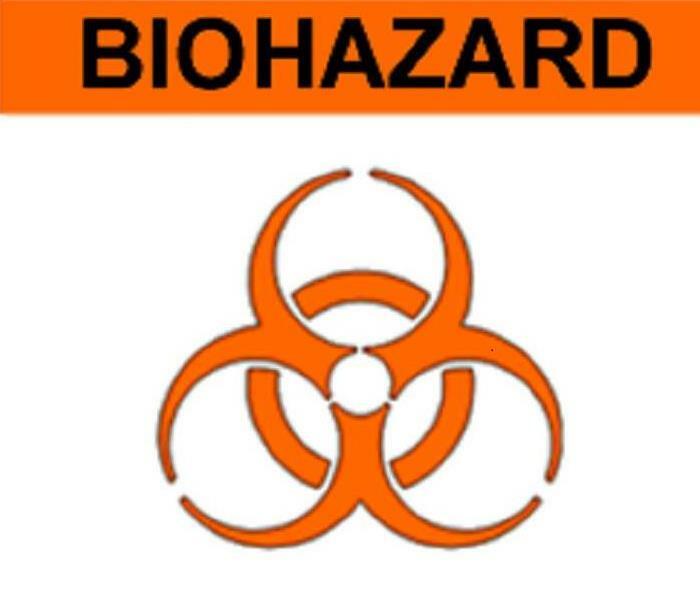 If your home or business experiences a biohazard situation, our team is here for you. Our technicians are fully trained to perform cleanup measures that will keep you safe. The techs comply with all OSHA and health regulations. They will be able to take a scene of dangerous devastation and make it livable once again. The bottom line is that we are invested in your safety. We remove and dispose of bodily fluids, tissue and other potentially pathogenic substances resulting from accident, trauma, crime or death. Trained SERVPRO of East Brown County Professionals clean, disinfect and deodorize the structure.